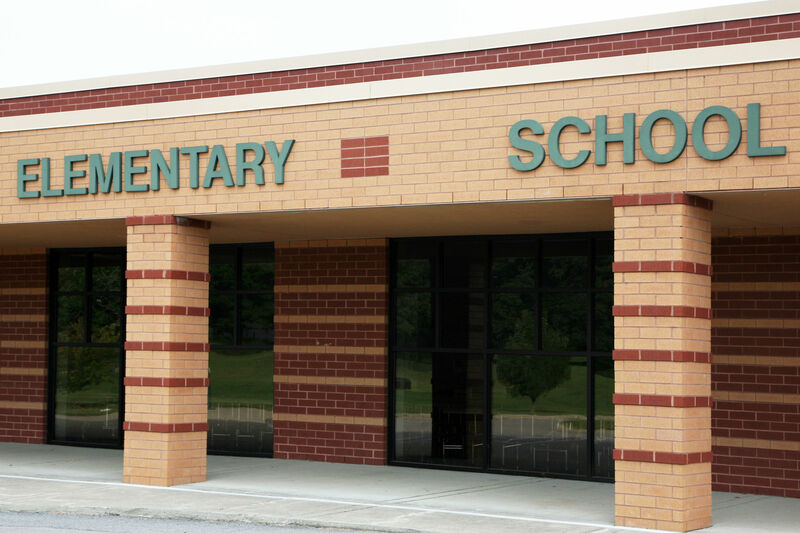 Protect your students and faculty from harmful chemical vapors. 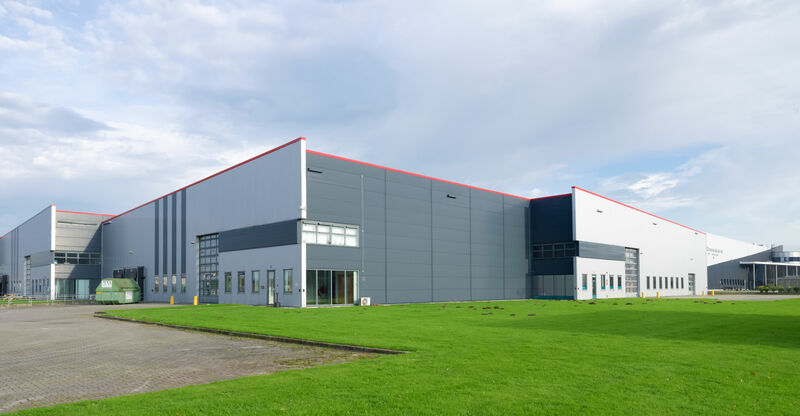 TCE, PCE, VOC Mitigation for your Industrial Facility. 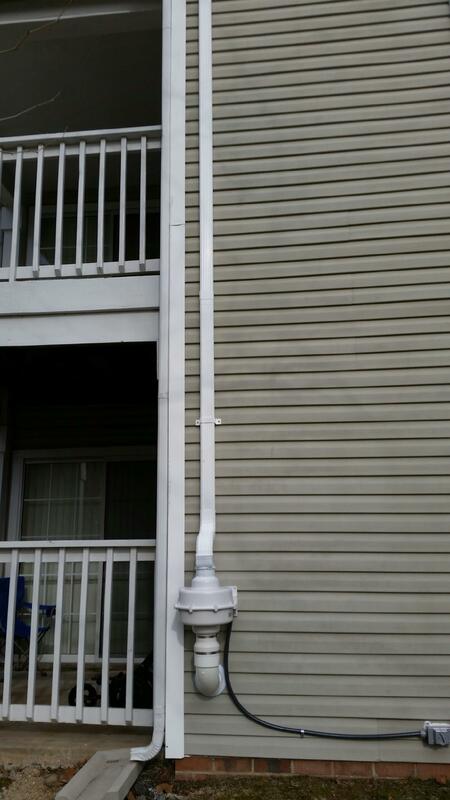 Protect your tenants with Vapor Intrusion Mitigation. 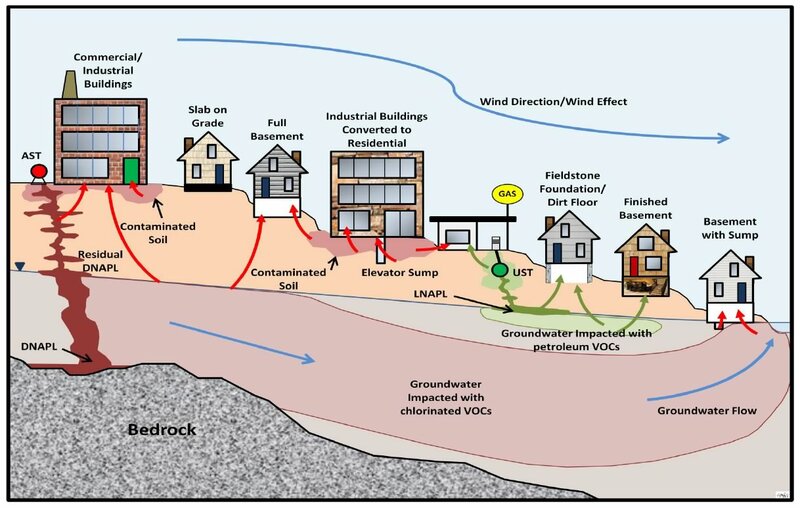 Vapor intrusion is the movement of chemical vapors from contaminated soil and groundwater into nearby buildings. Vapors primarily enter through openings in the building foundation or basement walls ─ such as cracks in the concrete slab, gaps around utility lines, and sumps. It also is possible for vapors to pass through concrete, which is naturally porous. Once inside the home or workplace, vapors may be inhaled posing immediate or long-term health risks for the occupants. In rare cases, the buildup of vapors, such as those from gasoline, may cause explosive conditions. Risks will depend on the types of chemical vapors and their concentrations, how much time people spend in the building, and the building’s ventilation. Vapor concentrations will be higher indoors when windows and doors remain closed. Mitigation methods, which lessen the effects of vapor intrusion, may be needed until contaminated soil or groundwater is cleaned up. Mitigation methods are available for both existing buildings and those planned for construction near the contaminated area. Vapor intrusion diagram, CLICK image to enlarge. Sealing openings involves filling in cracks in the floor slab and gaps around pipes and utility lines found in basement walls. Concrete can be poured over unfinished dirt floors. Installing vapor barriers involves placing sheets of “geomembrane” or strong plastic beneath a building to prevent vapor entry. Vapor barriers are best installed during building construction, but can be installed in existing buildings that have crawl spaces. Passive venting involves installing a venting layer beneath a building. Wind or the build-up of vapors causes vapors to move through the venting layer toward the sides of the building where it is vented outdoors. A venting layer can be installed prior to building construction as well as within existing buildings. It is usually used with a vapor barrier. 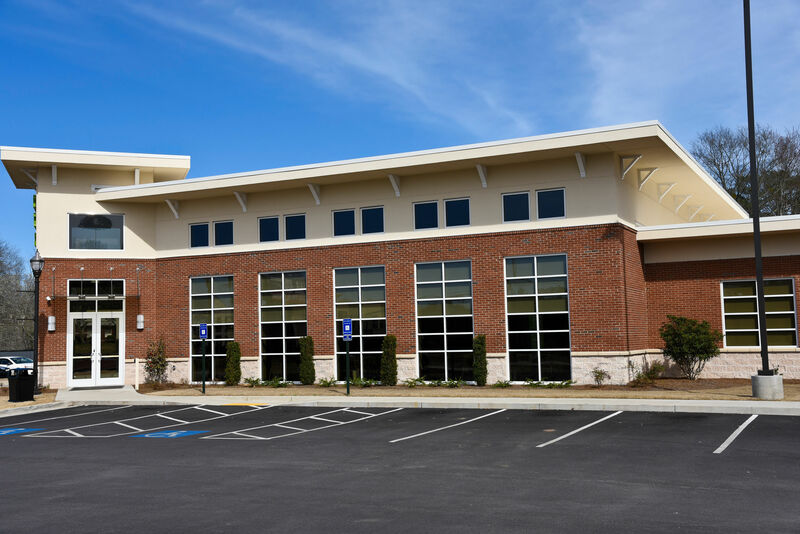 Building over-pressurization involves adjusting the building’s heating, ventilation, and air-conditioning system to increase the pressure indoors relative to the sub-slab area. This method is typically used for office buildings and other large structures. Mitigation will be needed to prevent vapor migration into buildings as long as vapor intrusion poses a health risk to occupants. This may be several years, or even decades, until cleanup of soil and groundwater is complete. Typical fan and vent pipe. Vapor intrusion mitigation systems are quite safe to use and will improve the quality of the indoor air by removing chemical vapors due to vapor intrusion as well as radon (another health risk) and moisture, which may lead to mold growth. However, mitigation systems will not reduce vapors from indoor sources of chemicals, such as paints, plastic items, and hobby supplies. Until the threat of vapor intrusion is gone, mitigation systems should be inspected regularly to make sure they are working correctly. For example, floors and walls are checked to see that no new cracks develop, a geomembrane in a crawlspace is checked for rips and holes, and electric fans are checked to ensure they are working correctly. Homeowners should not turn off the electric fans until EPA or state agency notifies them that it is appropriate to do so. Homeowners should report broken fans and vent pipes to the lead agency. An occupant of a home or office constructed with a vapor mitigation system will not likely notice it. However, the installation of systems in existing homes typically takes one or two days, and workers may need to access crawl spaces or indoor living areas. They may need to pull back carpet or move furniture to find and seal cracks or to drill holes in the foundation for sub-slab pipes. They typically place these pipes near the basement walls, in closets, and in low-traffic areas for the convenience of the homeowner. The vent pipes and fan may be visible on the outside of the house. However, in some cases, the pipes may be run through a closet to the attic and vented through the roof. Later, workers may need to visit homes periodically to inspect mitigation systems to ensure the systems are working properly. Homeowners may notice the hum of the electric fans, if they have a depressurization system. These fans use less electricity than an LED television; electric bills will rise slightly. Why Use Vapor Intrusion Mitigation? Vapor intrusion mitigation systems are installed to reduce health risks in buildings where chemical vapors from contaminated soil and groundwater may be inhaled by indoor occupants. They also may be installed as a precaution where vapor intrusion might occur in the future. Installing a system during building construction typically is cheaper, more effective, and less disruptive than waiting until after construction. Depressurization systems offer the added benefit of reducing radon, moisture, and mold inside the building. 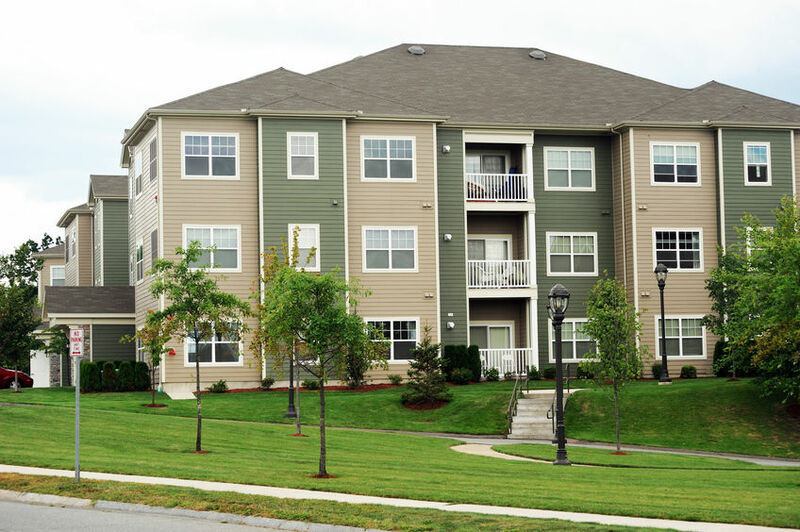 Mitigation is reducing possible risks from vapor intrusion at 43 homes near the Nyanza Superfund site in Massachusetts. Dye manufacturing from the 1910s to 1978 contaminated groundwater with trichloroethene (TCE) and other chemicals. By the 1980s, a plume of groundwater contamination was found to extend beneath a nearby neighborhood. Sampling of indoor air, sub-slab air, and groundwater showed that vapor intrusion was occurring, and TCE concentrations posed a risk to some homeowners. Vapor intrusion also had the potential to occur at several other homes. As a result, EPA installed depressurization systems in homes located above the most contaminated groundwater where vapor intrusion is most likely to be a problem. Before installing the systems in 2007, EPA sealed cracks in basement walls and floors, and covered sump pits. In homes with dirt basements, they poured a concrete floor or installed a vapor barrier. Following installation, each depressurization system was tested to ensure that it worked properly. The systems are inspected annually to ensure that they continue to work. NOTE: This fact sheet is intended solely as general information to the public. It is not intended, nor can it be relied upon, to create any rights enforceable by any party in litigation with the United States, or to endorse the use of products or services provided by specific vendors. The Agency also reserves the right to change this fact sheet at any time without public notice.